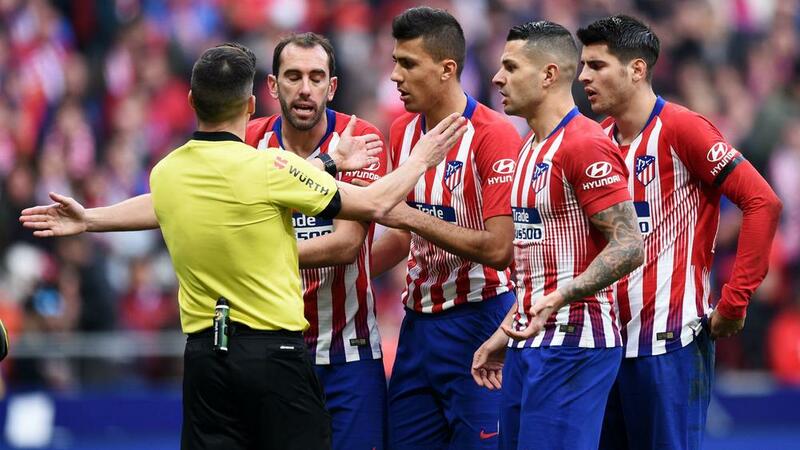 Atletico Madrid questioned three potentially vital video assistant referee (VAR) decisions from its 3-1 defeat to Real Madrid, posting screenshots of the incidents on social media. Los Blancos were the better side and deserved their victory, as Casemiro, Sergio Ramos and Gareth Bale got the goals, rendering Antoine Griezmann's effort insignificant. Although coach Diego Simeone insisted in his post-match news conference that VAR was not to blame for the defeat, Atletico players were angered by several contentious calls during the game, which the club has attempted to shine a light on. Morata was also involved in the third incident, not getting a penalty despite Casemiro appearing to make contact with him in the box, as Atletico attempted to highlight in its final image.